Description: Book is very slightly curled at fore edge; a tiny bit of bumping at fore edge corners; one small note on rear fep; all other pages are free of marks; binding is sound. 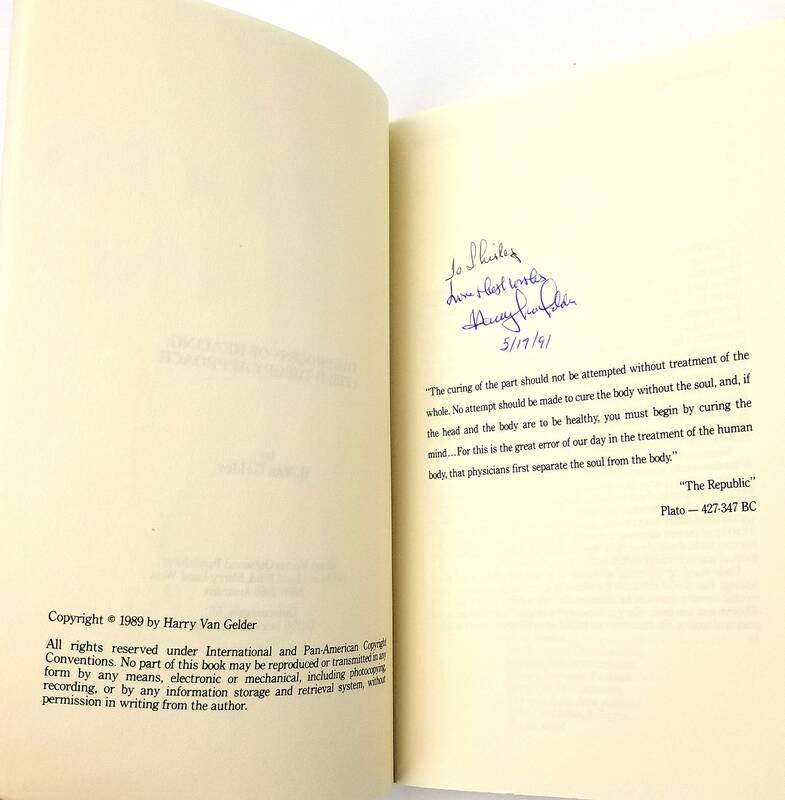 Inscribed by the author. 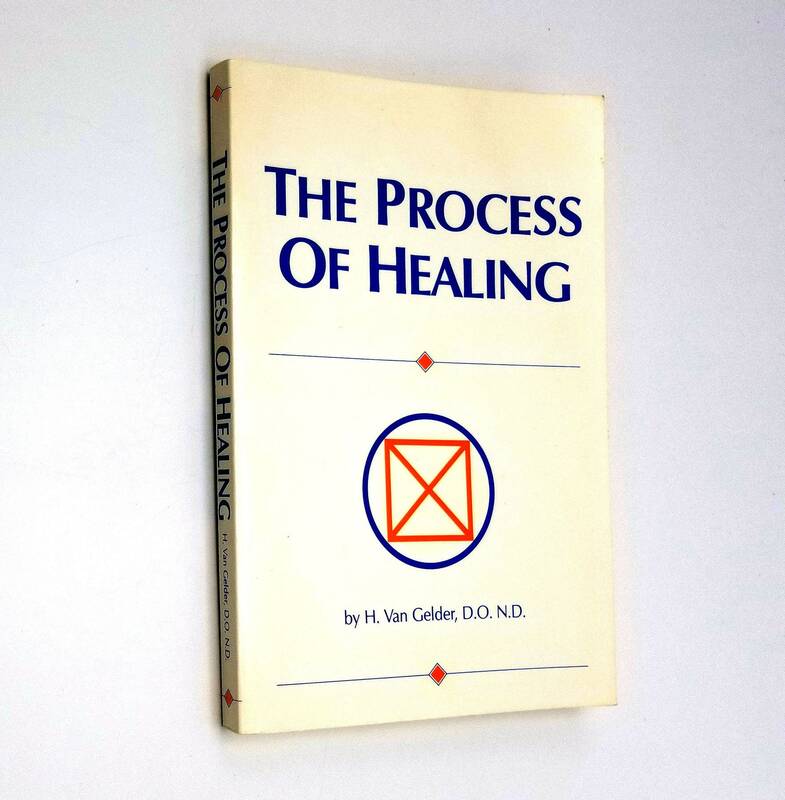 Homeopathic and esoteric methods of healing. Harry Van Gelder (b. 1907) was born in Indonesia and educated in Australia. In England he received degrees in osteopathy, physiotherapy and naturopathy and later studied naturopathic Ayurvedic medicine in India. 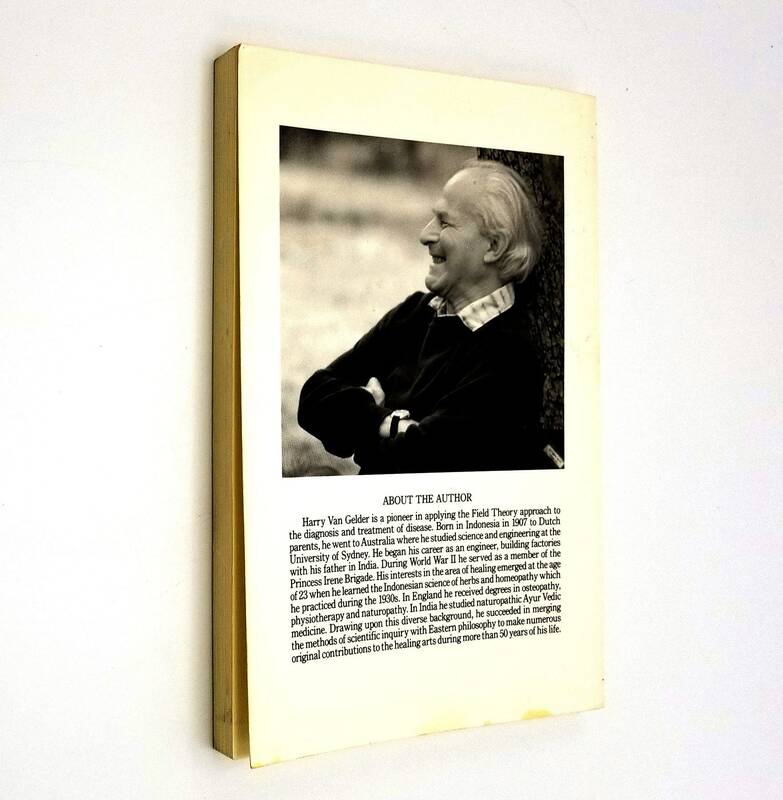 "Drawing upon this diverse background, he succeeded in merging the methods of scientific inquiry with Eastern philosophy to make numerous original contributions to the healing arts during more than 50 years of his life." 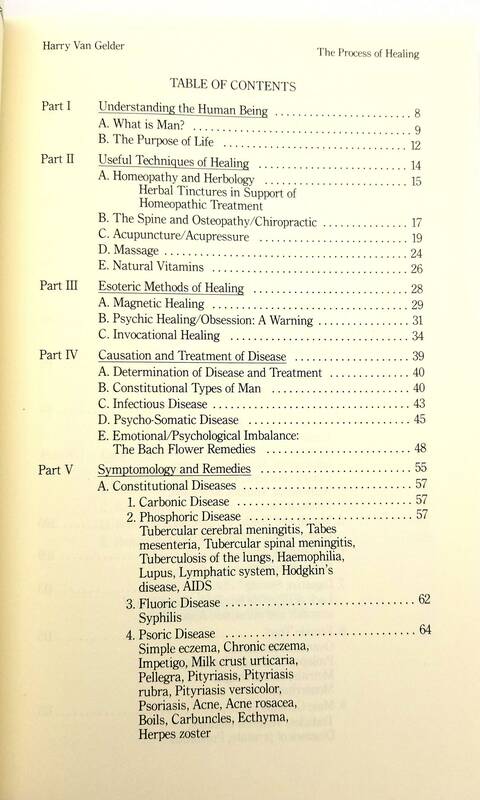 This volume covers techniques of healing (homeopathy, herbology, chiropractic, acupuncture/acupressure, massage, vitamins, as well as magnetic, psychic, and invocational), the causation and treatment of disease, and the symptomology and remedies for various constitutional diseases, endocrine malfunctions, trauma, and many common human ailments. 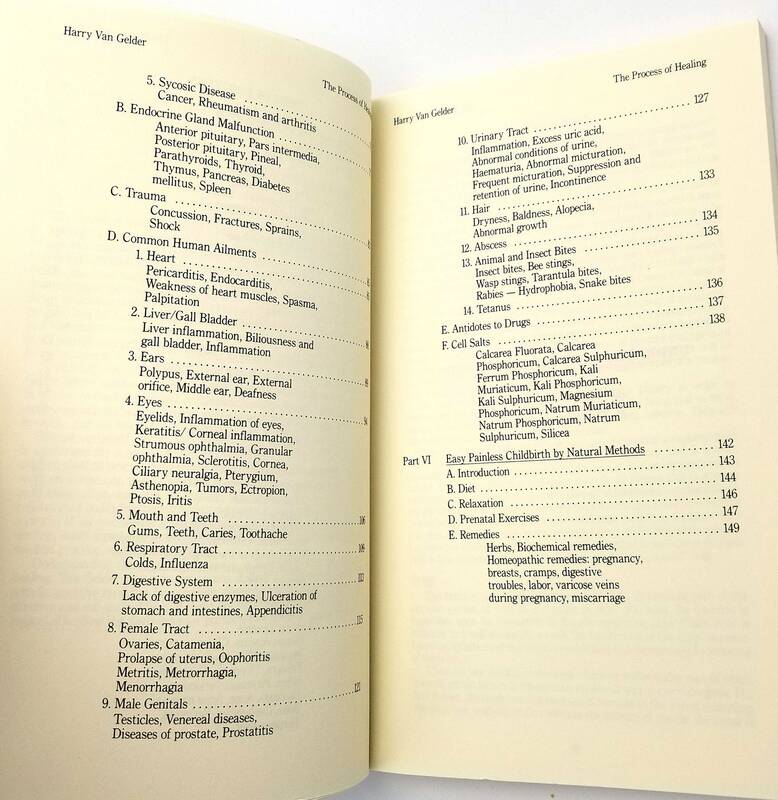 It also includes a section on childbirth.